It's my weekend morning, I'm lazy and actually I really don't want to get up, haha. Anyway, I can't sleep all day and I have so many things I want to do, ^^ like bake something. Well, you can call me baking maniac, I love to bake, all the process, from imagining about what to make until tasting it, make me happy. So most of the time I start from looking at my refrigerator, hehe, reaching for the ingredients and think about what I can create. 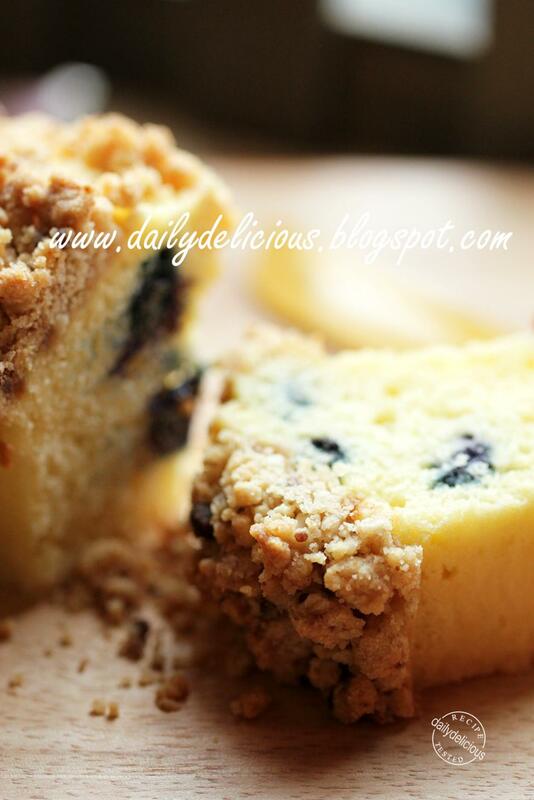 This morning, I saw, one pack of blueberry, butter and cream cheese and I'm hungry ^^. 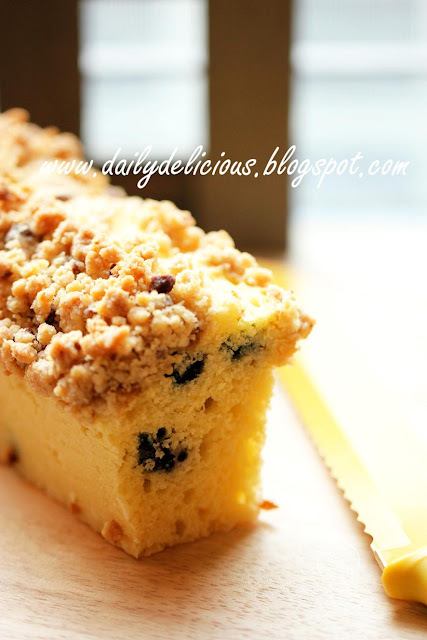 What would be better than hot cream cheese blueberry muffin from the oven, but I don't want a plain or an individual one (long loaf that you can eat without counting, haha) so I add the crumble on top of the muffin and bake it in a loaf. 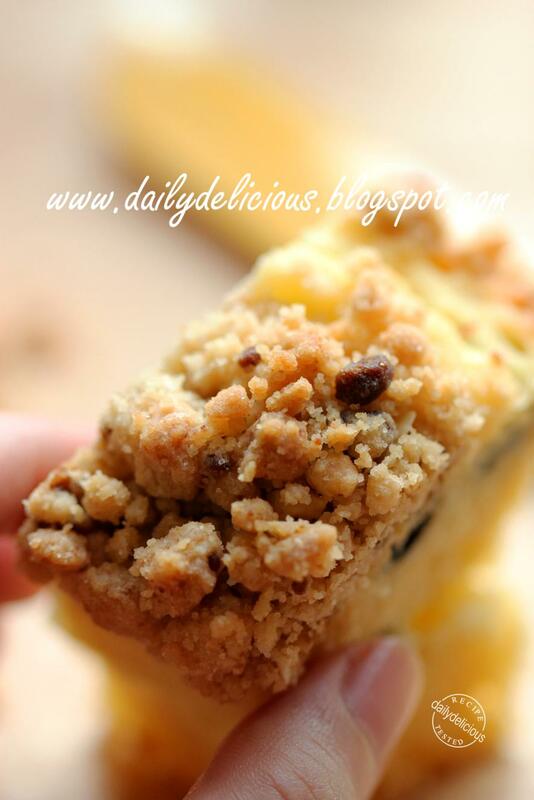 This lightly sweet muffin is a great breakfast, serve it with a cup of tea, now, I'm ready to start my lazy day. Sift the flour with baking soda and baking powder, set aside. 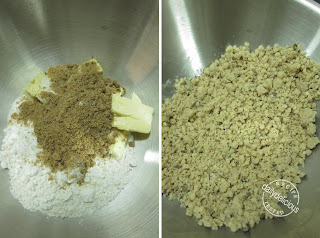 Make the crumble by mixing all the ingredients together until moisten, and small crumbs formed. Set aside until ready to use. Beat together cream cheese, butter and plain yogurt until smooth. Pour the sugar and salt into the bowl, beat until combine, add the egg beat to combine. Add the milk, stir until combine, add the flour mixture with blueberries, flod to combine. Pour into the prepared loaf pan, smooth the top and sprinkle with crumble mixture. Bake for 30-40 minutes or until the toothpick insert comes out with few moist crumbs. If using muffin pans it will be 20-30 minutes. 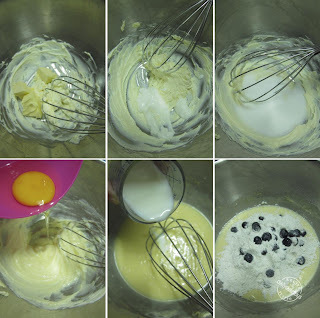 Just skip the baking powder, but keep the baking soda, it will neutralize the batter. 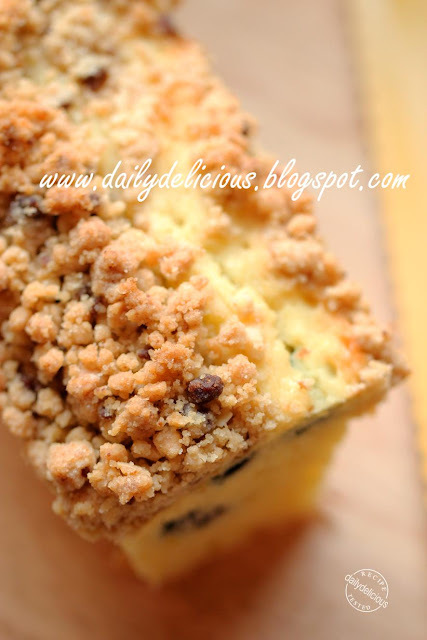 Would the texture of the muffin change if I take out the cream cheese? In the photo the texture looks so light and fluffy! Yes the texture of the muffin will change, ^^. The muffin loaf looks gorgeous! 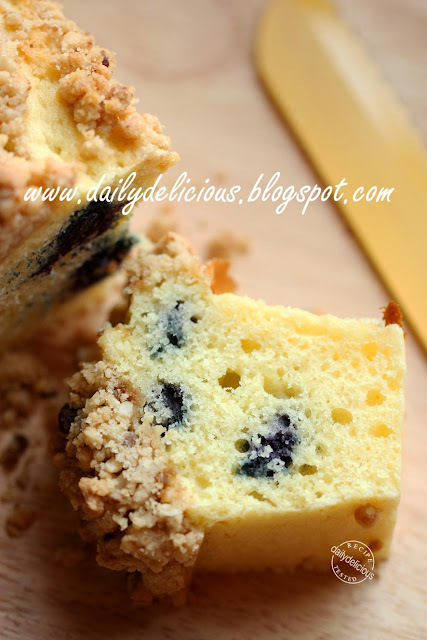 We don't really get fresh blueberries in India, but might try it with some other fruit..
Lovely, everytime you post the cake i will love to try it. to be honest...i really envy all your work. FYI, i have tried most of your bread recipe and it all turn out so great! fluffy, soft and delicious. thanks for sharing. Carrot Cake, Easy lazy cake.